Dental bonding typically costs much lesser than the other forms of cosmetic dental treatment. However, the resin is actually a softer material and thus, it may be harmed due to the habit of biting of nails or on chewing very hard food items. 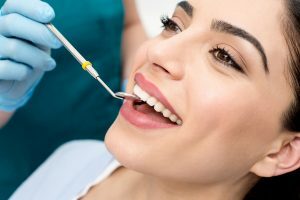 Moreover, the resin is likely to be stained due to the intake of caffeine-rich drinks or smoking of nicotine products, which should be avoided at least for 2 days after undergoing this dental treatment. The dental bonding needs to be renewed after a few years when the resin is discolored and chipped after continuous use. To schedule your dental bonding appointment, contact Dr. Keith Schwartz in Coconut Creek today!